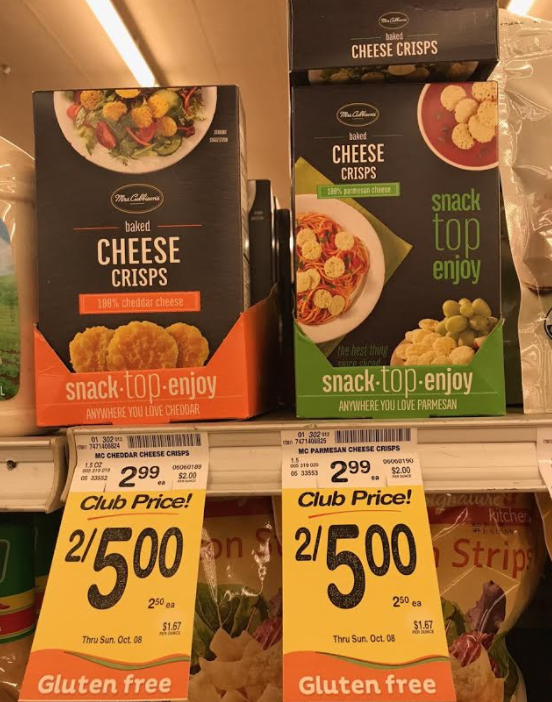 Safeway has Mrs. Cubbison’s Cheese Crisps on sale for $2.50 now through October 8th. 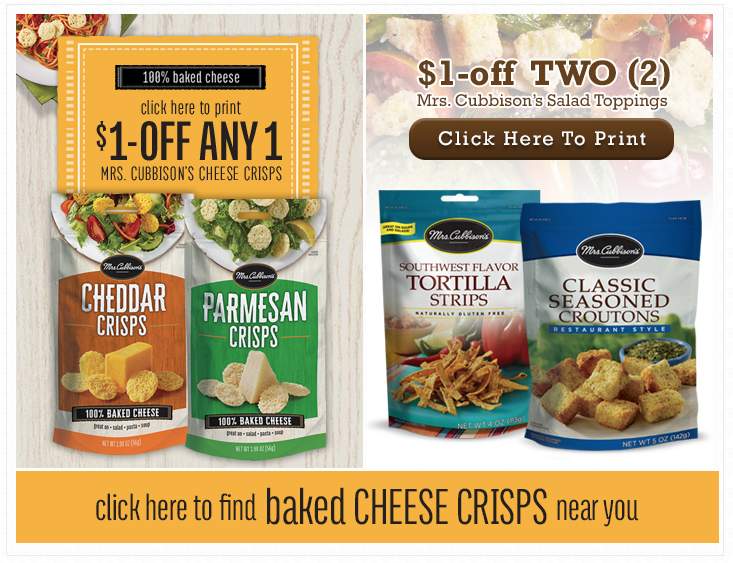 Print a new Cheese Crisps Coupon for $1.00 off 1 and you’ll pay just $1.50. The Tortilla Strips are also on sale for $2.00 a bag. Use a new coupon for $1.00 off 2 Mrs. Cubbisons Salad Toppings and you’ll pay just $1.50 per bag! Perfect for dressing up any salad, stew or soup!